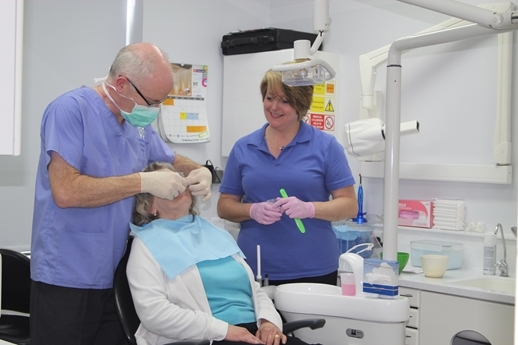 Queenborough Dental Clinic provides professional, high quality, affordable dental care in a relaxed, caring and modern environment. Our brand new, state of the art surgery is on street level allowing easy access for disabled, wheelchair and elderly patients. Free car parking facilities are opposite the practice. When you come to us for a routine examination, a scale and polish, or a planned treatment, you will experience the highest standard of care and leave happy and satisfied, with a healthy beautiful smile. In addition to providing high quality dental care, we aim to make your visit a relaxed and stree-free experience. We pride ourselves in looking after nervous patients and we can refer patients for sedation if requested. We are also committed to providing patient choice, pricing transparency, education and information for our patients as a core part of helping to maintain your dental health. Using state of the art equipment and dental materials, we carry out a wide range of dentistry procedures from routine fillings and extractions to full smile makeover using veneers, crowns, bridges or dentures. Please give us a call on 01795 583 593, we are happy to answer any questions you may have.